Designer Banded Shades are a combination of Hunter Douglas sheers and solid bands that alternate on the fabric. 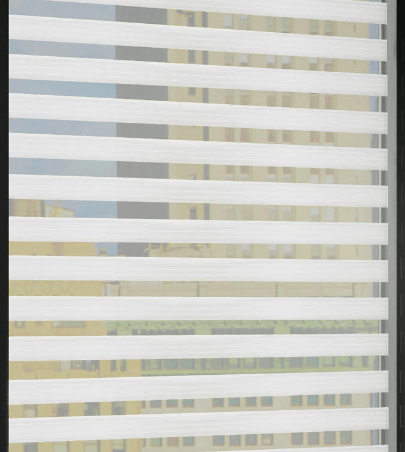 The solid bands overlap to give you total privacy or the ability to diffuse natural light based on the alignment of the bands. 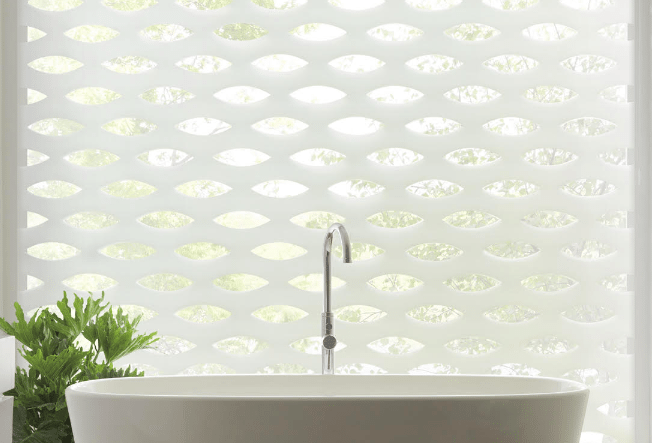 The ability to control the light with these window shades is at your fingertips. Obtain the perfect amount of sunlight and privacy on your windows. Designer Banded Shades make a bold design statement on windows and they are easy to operate. 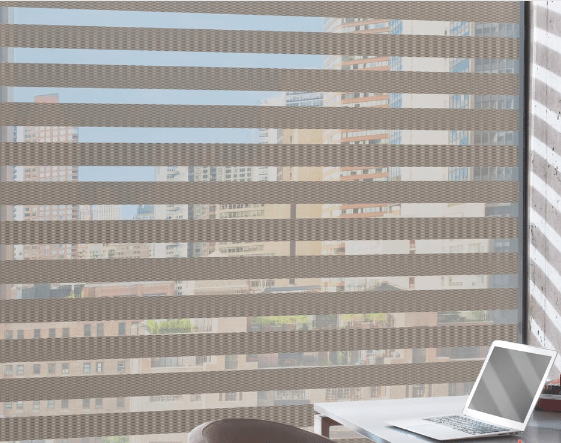 Choose from cordless operation or Hunter Douglas PowerView Motorization. United Decorators can give you a demonstration of how Designer Banded Shades operate by using the Pebble® remote control. Visit the showroom to see how you can operate all the blinds and shades in your home or office by app. Simply tap a button on an iPhone, Android or tablet to make your shades go up or down. Time your window shades to raise or lower based on your schedule. PowerView® Motorization integrates with Alexa and Google Home. Customize your window shades by choosing stunning colors, different band heights and pick a geometric style that works within your space. Covering your windows can be like an art project. Choose from eight custom hardware colors to match your existing furniture, artwork, or decorative accessories. Your new window shades will certainly stand out in the room or coordinate with your existing décor. Hunter Douglas window treatments are made in the United States. There is a good chance your new window shades will be manufactured right here in Maryland or Colorado. 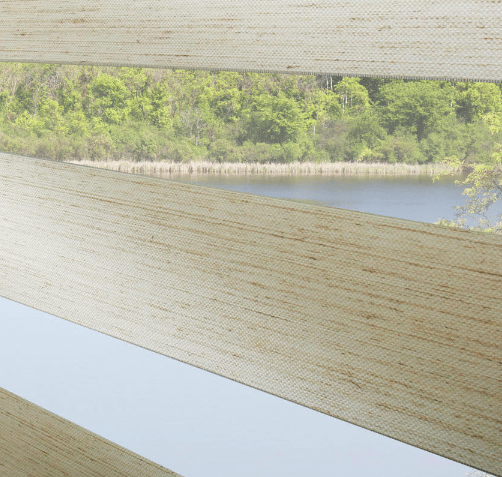 Purchase quality blinds and shades from one of the best local Hunter Douglas dealers. Contact Dalia or Paul at United Decorators in Brooklyn, New York. Ready To See These Stunning Designer Banded Shades In Person? Visit Our Showroom For Your Free Consultation!